Those under evacuation who have homeowners and renters insurance policies should be covered for being forced to move. If you are one of the thousands affected by the California wildfires, you may be at a loss for what to do next. 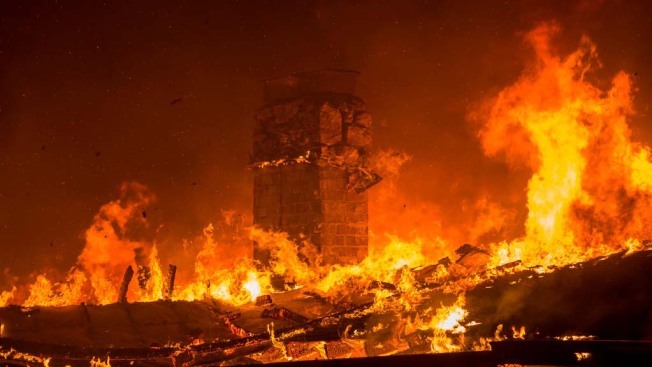 Whether you are directly impacted by the wildfires or could be, the California Department of Insurance says you need to take action now. There are things you can do to mitigate the headache of filing claims to make sure that if a fire destroys your home, it doesn't leave you broken financially. There is no special fire insurance. If you have homeowners or renters insurance you should be covered, but everyone should understand the details about their coverage and how to access help before, during and after a fire emergency. "Unfortunately this is California's new normal so we are going to be impacted by wild fires year after year for the foreseeable future," said deputy commissioner of California's Department of Insurance Byron Tucker. "If their home has been burnt to the ground or not, they need to contact their insurance agent and start the claims process." The reason is because this fire is still a first responder situation. Tucker says insurance companies are on standby, but assistance centers that begin processing mass casualty claims aren't open yet due to safety concerns. "You are entitled to what's called assisted living expenses. That means your insurer can cut you a check often on the spot for expenses for expenses you've incurred from your mandatory evacuation," Tucker said. If you are safe, Tucker says use this time to do a couple things. First, create a video diary of your belongings. "Grab your cell phone camera, walk through your home, videotape all your possessions, your belongings. Walk into each room, open your drawers, videotape it, [and] give a short narrative of what the item is, when you bought it, what you think paid for it," he said. "You will be in a traumatic situation. It will be virtually impossible for you to remember all the items in your household." Next: Update your insurance policy. Tucker says one of the top complaints his agency hears is from people who've lost everything and thought they were covered. "If you've remodeled your home, if you have updated your kitchen or bathroom, you need to let your insurer know because that's increased the value of your home and you may be under insured if you've not taken that action," Tucker said. If you have been evacuated, and you plan on tapping into your assisted living expenses in your insurance policy, keep all receipts. Keep the paper copies for food, shelter, clothing and pets, but also take a photo of those receipts so you can back them up until you can get back home. Accurate documentation of expenditures will save you a lot of headaches when we're looking at thousands of claims being filed. See more information on how to help fire victims here.